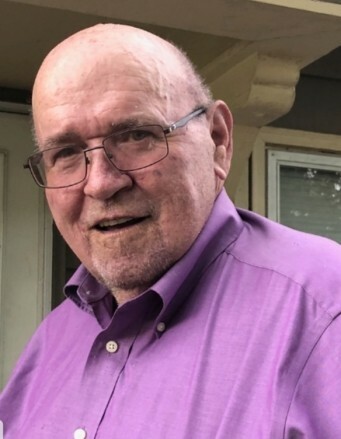 Kevin P. Cullen, age 67, of Mendon, died Monday, December 3, 2018, at his home. A Mass of Christian Burial will be Friday, December 7, 2018, at 10:30 a.m. at St. Joseph Catholic Church, Hurricane Branch in Mendon with Fr. Boniface Kasiita Nzabonimpa officiating. Visitation will be Thursday, December 6, 2018, from 6:00 until 8:00 in the evening at Wright Funeral Home in Brookfield. A Rosary service will be held prior to the visitation at 5:30 p.m.
Memorials payable to Melissa Adams (to be used toward a charity of the family’s choice) may be left at or mailed to Wright Funeral Home, P.O. Box 496, Brookfield, MO 64628. Kevin Patrick, son of James and Frances (Straub) Cullen, was born September 28, 1951, in Brookfield. Kevin retired from Missouri Public Services after 35 years. He was a member St. Joseph Catholic Church, Hurricane Branch in Mendon and the Sportsman’s Club in Sumner. Survivors include one brother, Bill Cullen and wife, Darlene of Altamont; three daughters, Ginny Gardner and Joel Head of St. Catharine, Melissa Adams and husband, Jeff of Mendon, and Tricia Cullen Looney and Sean Springborn of Rothville; eight grandchildren, Kodi Melton and husband, Donnie, Kati Walters and Chad Davis, Skyler Rosas, Sydney Looney, Blayke Ellison, Alayna Adams, Caid Adams, and Henry Looney; five great-grandchildren, Parker Melton, Berkley Melton, Timber Melton, Kamber Kerr, and Trigger Hook; two step-children, Rob Maxwell and wife, Melissa, and Melanie Starlin and husband, Galen all of Brookfield; seven step-grandchildren, Josh Maxwell and wife, Erin, Gage Maxwell, Chandler Maxwell, Tyler Starlin, Brandon Starlin, Precious Starlin, and Garrett Starlin; and special friend, Kathy Stewart of Mendon. His parents and one brother, Joe Cullen preceded him in death.